Review by AllTheBestFights.com: 2018-07-14, good fight between Dennis Bermudez and Rick Glenn, it gets three stars. Dennis Bermudez entered this fight with a pro mma record of 16-8-0 (44% finishing rate) and he is ranked as the No.27 featherweight in the world but he comes off three consecutive losses: with Chan Sung Jung (Bermudez vs Jung), Darren Elkins (Elkins vs Bermudez) and Andre Fili (Dennis Bermudez vs Andre Fili). His opponent, the former Wsof Fw champ Rick Glenn, has a record of 20-5-1 (75% finishing rate) and he entered as the No.48 in the same weight class. 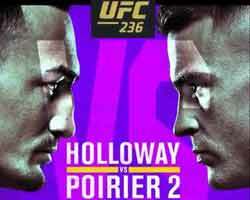 He fought three times last year defeating Phillipe Nover and Gavin Tucker but then he lost to Myles Jury. 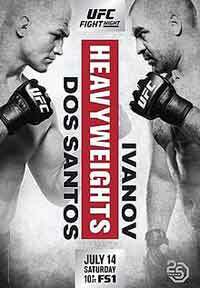 Bermudez vs Glenn is on the undercard of Junior dos Santos vs Blagoy Ivanov – UFC Fight Night 133. Watch the video and rate this fight!